Is your email address promoting your small business? Why do companies give you free email addresses? Its free marketing for them. If you have a yahoo, gmail, aol, msn or other free email account for your business then you aren’t helping your business at all. As a matter of fact you are probably losing business. This is like sending a job proposal to a client and putting ads on it for your competitors. Would you do that? No! If you have a real business, why don’t you have a real business email address? Your website name www.yourbusinesswebsite.com should be part of your email address. yourname@yourbusinesswebsite.com shows people that you are a business. Is it expensive to do this? No. Google Apps does this for FREE. Yes FREE! Then why doesn’t everyone do this? Easy answer – Education. If you own a business you have to be educated on the latest technologies. You need to know what is going on and how to save money. Technology in general is expensive and many small business owners don’t want to spend any money on technology. Mostly because they don’t know anything about the technology they need. 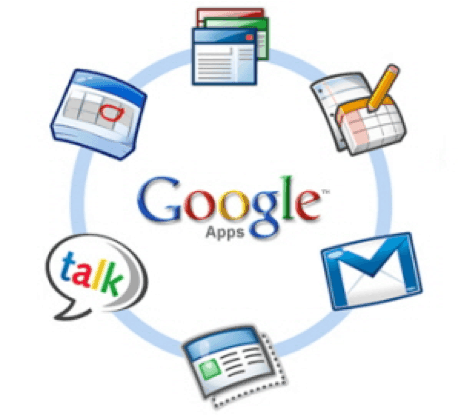 What does google Apps give you? Besides email with a gmail interface and your own website name Google Apps provides calendar, chat, collaborative office suite and access to many more Cloud based applications with one login. How much is Google Apps? There are two versions, a FREE version and a Business version. Even if you have a business, you can use the free version. The free version is limited to 10 users and the business version is $50 per user per year. For more on pricing from Google, check Google Apps For Business Pricing. The bonuses for the paid version is more space, phone support, video support and some other features. Now its important to realize that if you pay for the business version, you are getting support right from Google. This is not a reseller or IT Consultant. You also do not need any other hardware or software. Google Apps can also be used to share files and documents within your company securely. To get Google Apps, you can go to Google Apps Website and sign up. You need a domain name if you don’t have one already. Now it isn’t hard to setup, but I do suggest getting help on this. Depending on where you’re website is hosted, if you have one, this could be a little complicated. If you already have mail and using mail based programs like Squirrel Mail you can also switch to Google Apps, however you must plan it properly or you may lose some mail. As I just said, “Get Google Apps Now”. Of course you’d want to plan first. Changing over an email address could disrupt business. Plus everything in your business has your old address on it. Google uses Gmail and you can import all your settings from Gmail. You can also forward your mail from your current email address to your new one. You should read Google Apps benefits page. Good luck, and leave a comment below, Twitter or Facebook me. You can always contact me with any questions. I am here to help you with your online business struggles.